Paint Out™ is an art event aiming to redefine 21st century en plein air art practice. 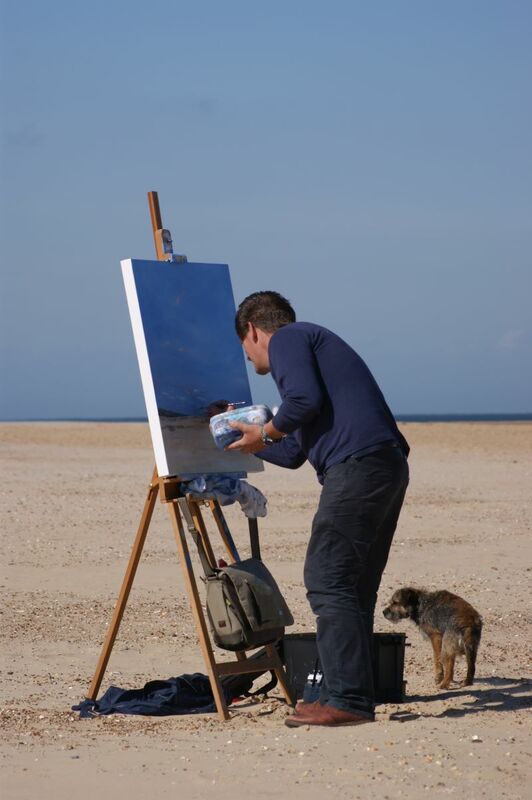 Founded in 2014, we are the UK’s premier and only fully juried en plein air art competition, celebrating the talents of national and international artists before a wide and growing audience in the heart of medieval and iconic Norwich, as well as on the beautiful North Norfolk coast at Wells-next-the-Sea. 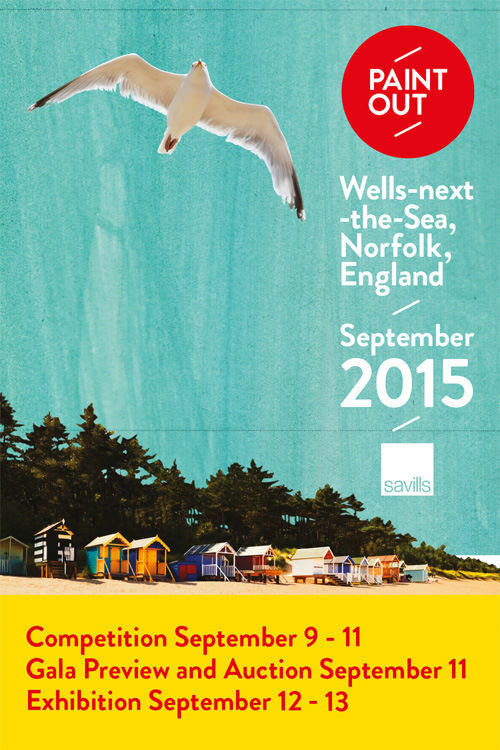 We are expanding our events across Norfolk, the UK and further afield. Experience – Art, Live! 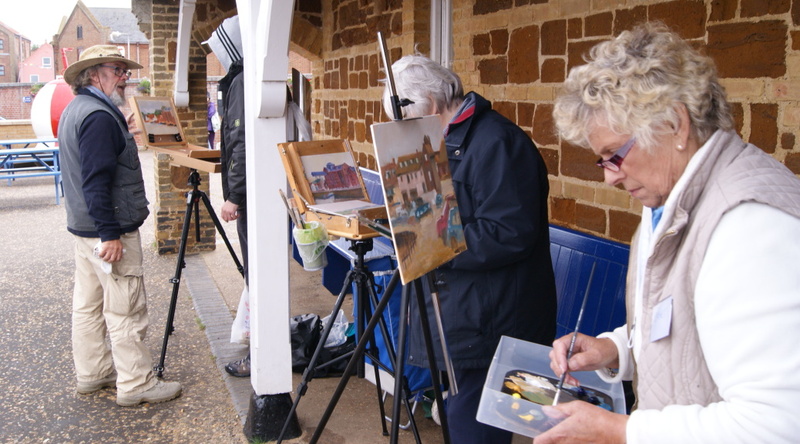 Many of our events are about extreme painting, in any weather, up against the clock and the gaze of the art-loving public. For a fourth year running, and following are successful trial of a one-day format in Suffolk, Paint Out Wells 2018 will return for a one-day Paint Out event on 8 September 2018. 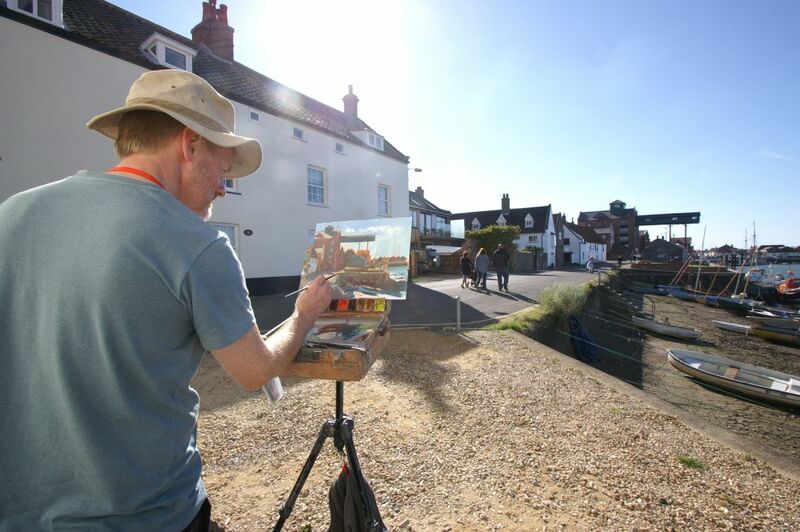 Plein Air means leaving the studio behind and embedding one’s easel in the environment, drawing inspiration from the artist’s immediate surroundings and putting brush to canvas amidst the changing light, moving people, and variable skies. The Paint Out competitions, however, accept any 2-dimensional media or mixed-media applied to a canvas/board/paper embracing drawing, pastels, oils, watercolour, gouache, acrylic, pen and ink, and even screen-printing and textiles. Innovation and originality are encouraged alongside traditional art forms. 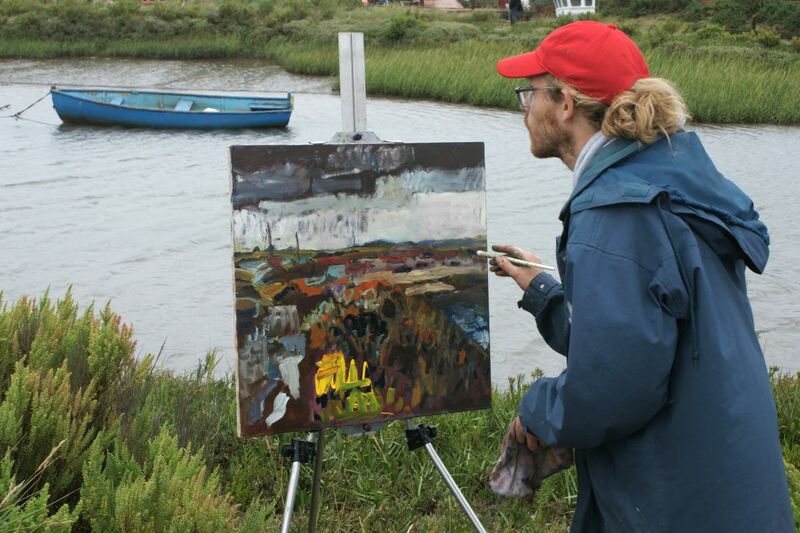 Following the huge success and beautiful beach sunrise at Paint Out Wells in 2015 and the weather-challenged multi-location 2016 – great for bold plein air artists, Paint Out returned to Wells-next-the-Sea for a third-year art competition on North Norfolk‘s colourful coastline during a painting-packed weekend from September 15th-17th and public sunrise paint out. The exhibited works were shown in our pop-up gallery on The Buttlands across the weekend and our judges awarded prizes at the Private View to Jack Godfrey (1st), Sam Robbins (2nd), commendations to Robert Nelmes, Sarah Muir Poland, and Shaun Carey; Karen Adams was awarded the Spirit of Plein Air Prize. All prizes sponsored by Hopkins Homes. 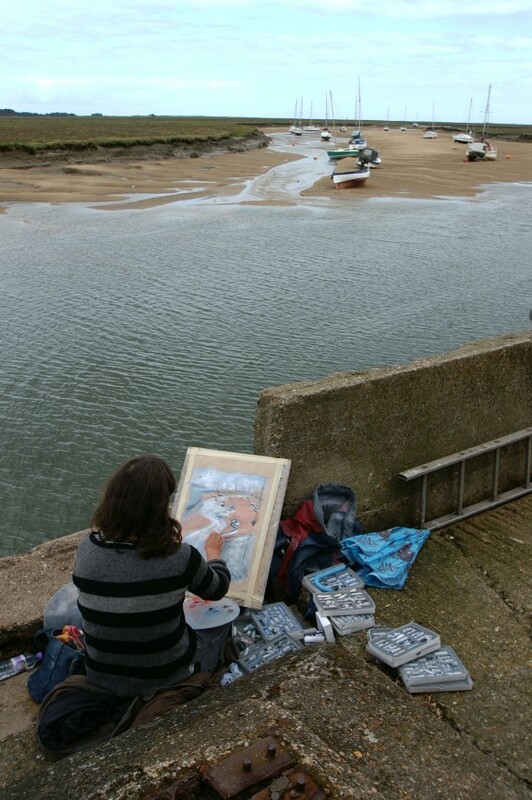 The itinerary included painting at all times of day from sunrise to sunset and around the beach, quay, town and Buttlands of Wells-next-the-Sea as well as a half-day in Blakeney, up the coast. Register interest in the next Paint Out Wells below. Paint Out Wells appreciates the support of its third-year-running returning principal sponsor – Hopkins Homes who have supported the event and the prizes in 2017. They “truly have East Anglian roots” with their building projects in four local counties: Norfolk, Suffolk, Essex and Cambridgeshire. Find out how you can partner with Paint Out.